Biocultural or biosocial anthropology is a research approach that views biology and culture as dialectically and inextricably intertwined, explicitly emphasizing the dynamic interaction between humans and their larger social, cultural, and physical environments. The biocultural approach emerged in anthropology in the 1960s, matured in the 1980s, and is now one of the dominant paradigms in anthropology, particularly within biological anthropology. 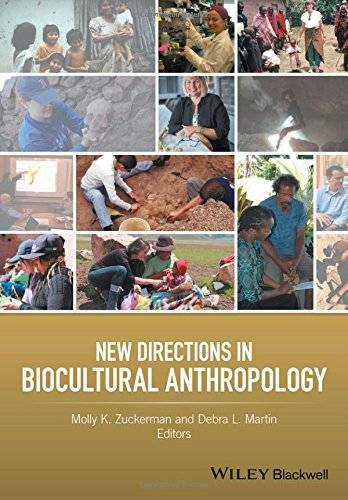 This volume gathers contributions from the top scholars in biocultural anthropology focusing on six of the most influential, productive, and important areas of research within biocultural anthropology. These are: critical and synthetic approaches within biocultural anthropology; biocultural approaches to identity, including race and racism; health, diet, and nutrition; infectious disease from antiquity to the modern era; epidemiologic transitions and population dynamics; and inequality and violence studies. Focusing on these six major areas of burgeoning research within biocultural anthropology makes the proposed volume timely, widely applicable and useful to scholars engaging in biocultural research and students interested in the biocultural approach, and synthetic in its coverage of contemporary scholarship in biocultural anthropology. Students will be able to grasp the history of the biocultural approach, and how that history continues to impact scholarship, as well as the scope of current research within the approach, and the foci of biocultural research into the future. Importantly, contributions in the text follow a consistent format of a discussion of method and theory relative to a particular aspect of the above six topics, followed by a case study applying the surveyed method and theory. This structure will engage students by providing real world examples of anthropological issues, and demonstrating how biocultural method and theory can be used to elucidate and resolve them. • Contributions which span the breadth of approaches and topics within biological anthropology from the insights granted through work with ancient human remains to those granted through collaborative research with contemporary peoples. • Comprehensive treatment of diverse topics within biocultural anthropology, from human variation and adaptability to recent disease pandemics, the embodied effects of race and racism, industrialization and the rise of allergy and autoimmune diseases, and the sociopolitics of slavery and torture. • Contributions and sections united by thematically cohesive threads. • Clear, jargon-free language in a text that is designed to be pedagogically flexible: contributions are written to be both understandable and engaging to both undergraduate and graduate students. • Provision of synthetic theory, method and data in each contribution. • The use of richly contextualized case studies driven by empirical data. • Through case-study driven contributions, each chapter demonstrates how biocultural approaches can be used to better understand and resolve real-world problems and anthropological issues. Molly K. Zuckerman is an Assistant Professor in the Department of Anthropology and Middle Eastern Cultures at Mississippi State University. The author of numerous peer-reviewed publications employing the biocultural approach, Dr Zuckerman also teaches graduate and undergraduate introductory courses in anthropology and biological anthropology, osteology, diet and nutrition, and human behavior and disease. 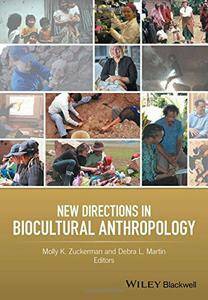 Debra L. Martin is the UNLV Barrick Distinguished Professor of Anthropology at the University of Nevada, Las Vegas. Her expertise is in the biocultural approach as it can be applied to understanding poor health, inequality and violence. She has published four co-edited volumes, three co-authored volumes, and over 100 chapters and peer-reviewed articles on biocultural approaches in anthropology.